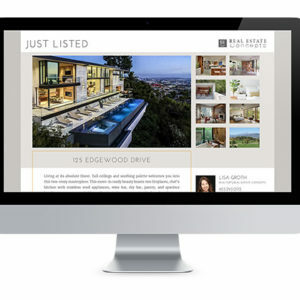 Many homeowners research the Internet when they start to consider selling their home. 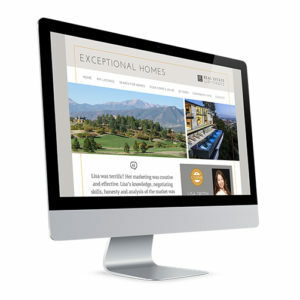 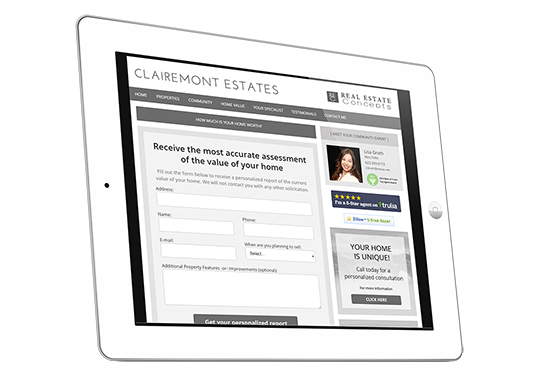 By providing them with a Home Assessment Landing Page, when you send out your marketing, you reaffirm that you are able to provide them with a personal yet professional service….as this is NOT an auto generated program….the leads go directly to you. 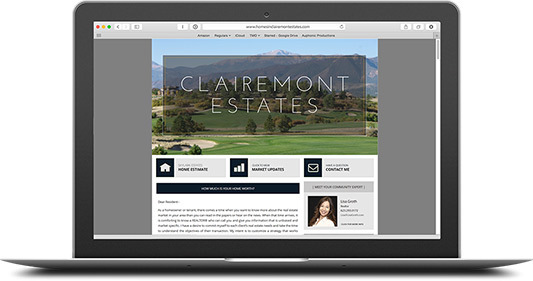 Monthly Fee: $29.50 per community website only (waived with the signing of a Market Report contract for corresponding community).